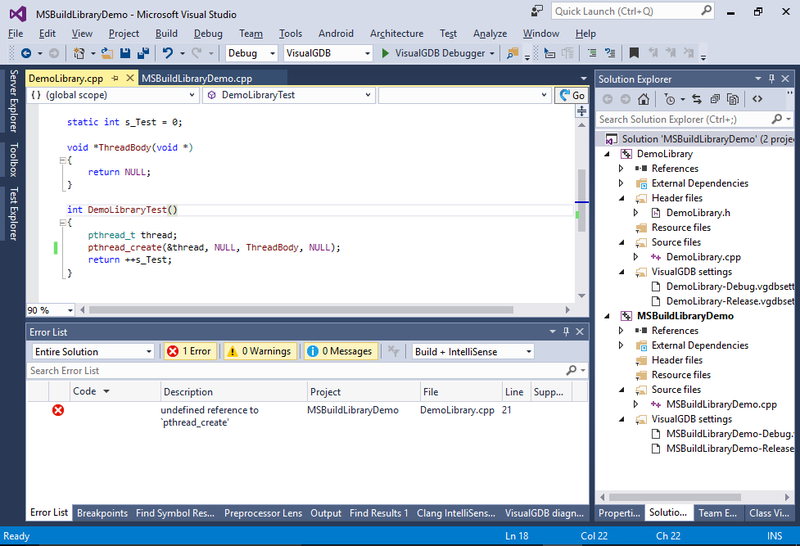 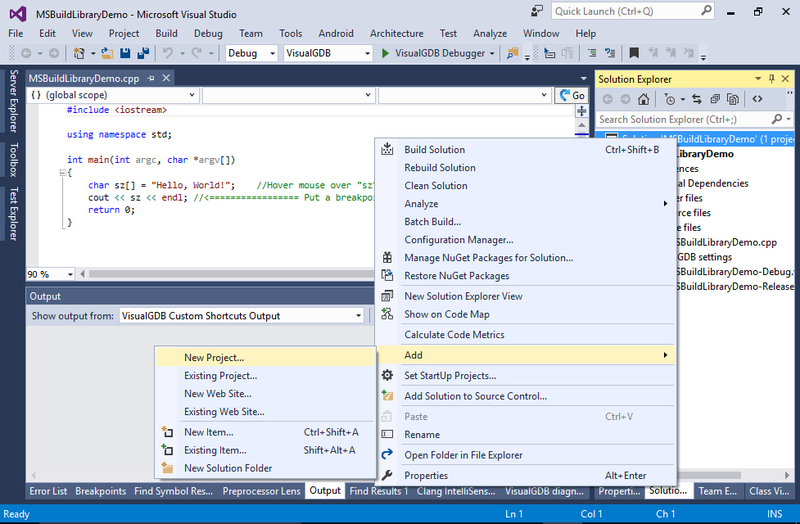 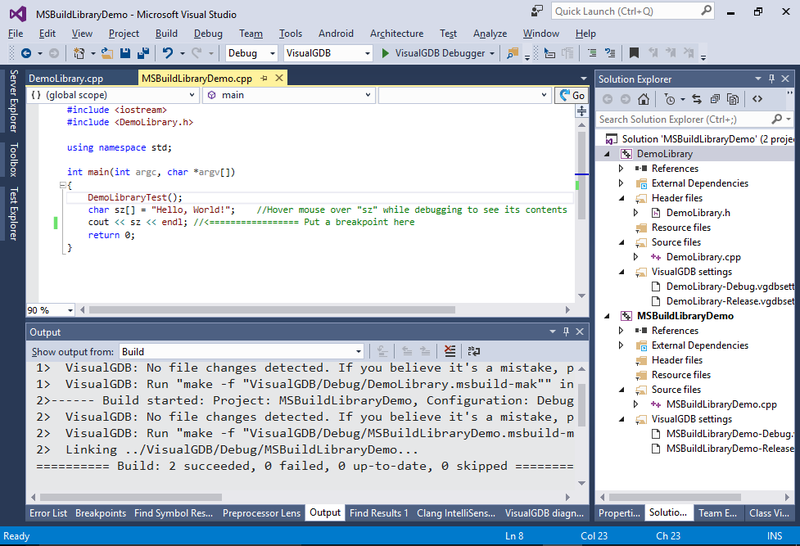 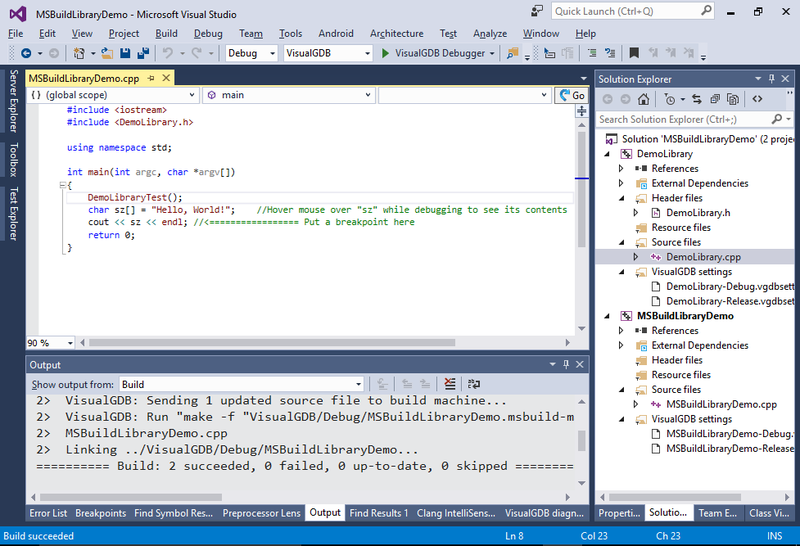 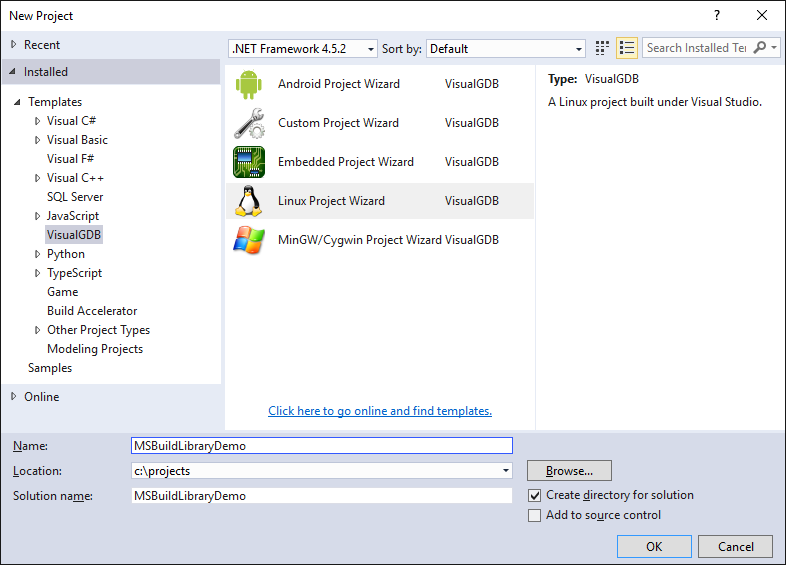 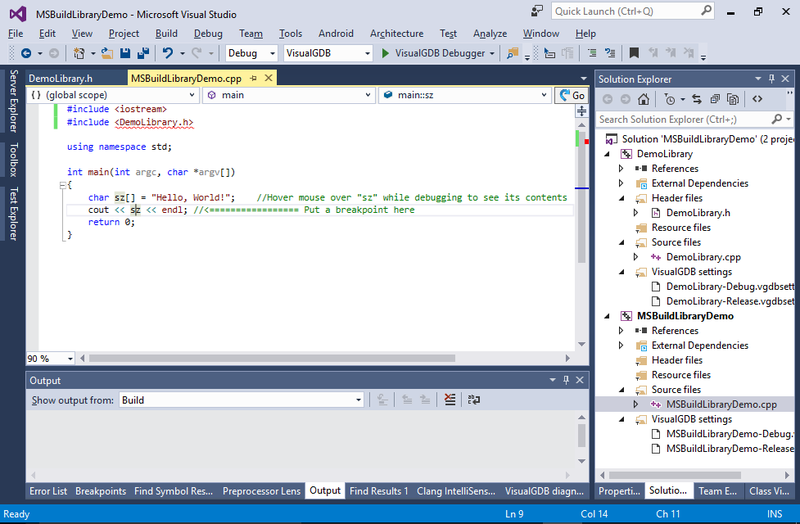 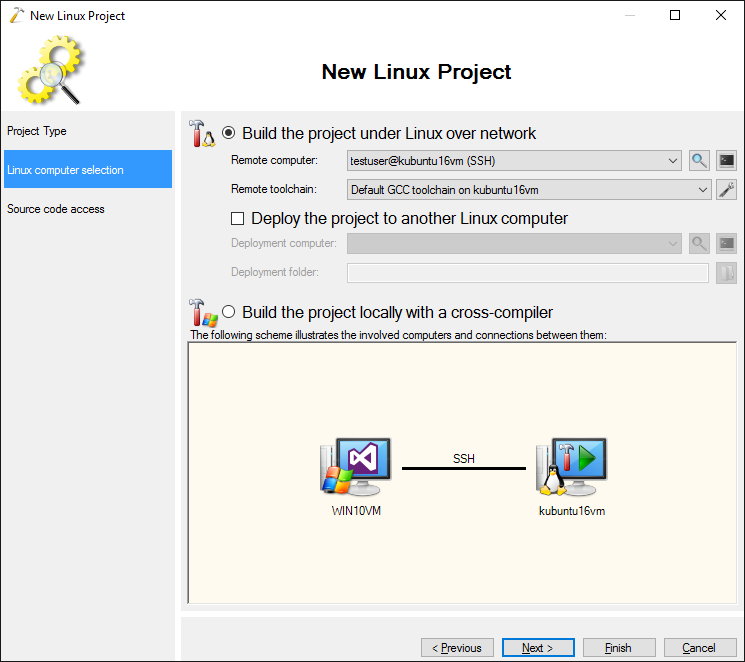 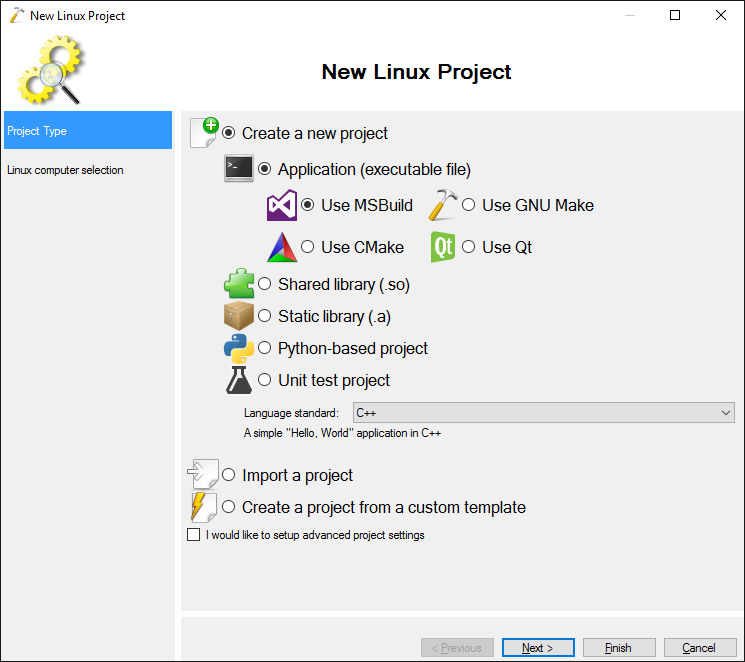 This tutorial shows how to use the new Exported Settings feature of VisualGDB MSBuild projects to simplify the use of library projects. 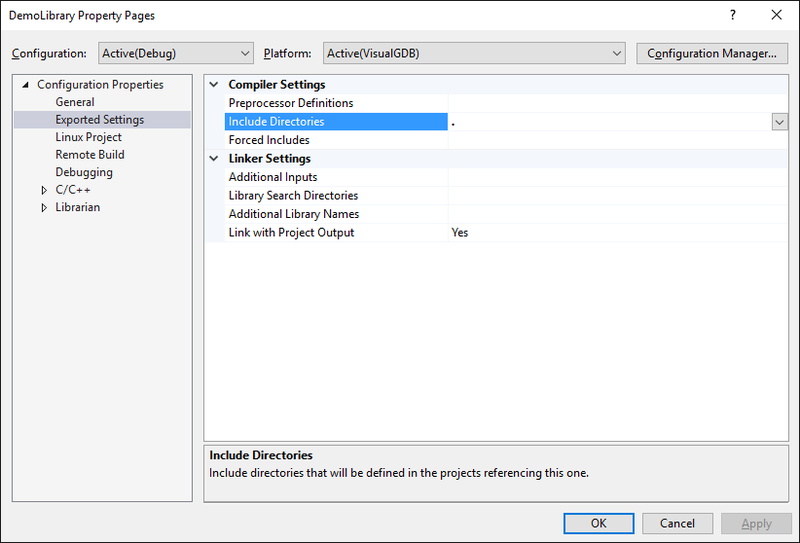 We will show how to avoid manually adding include directories and extra libraries to all projects referencing your library project to save time and avoid mistakes. 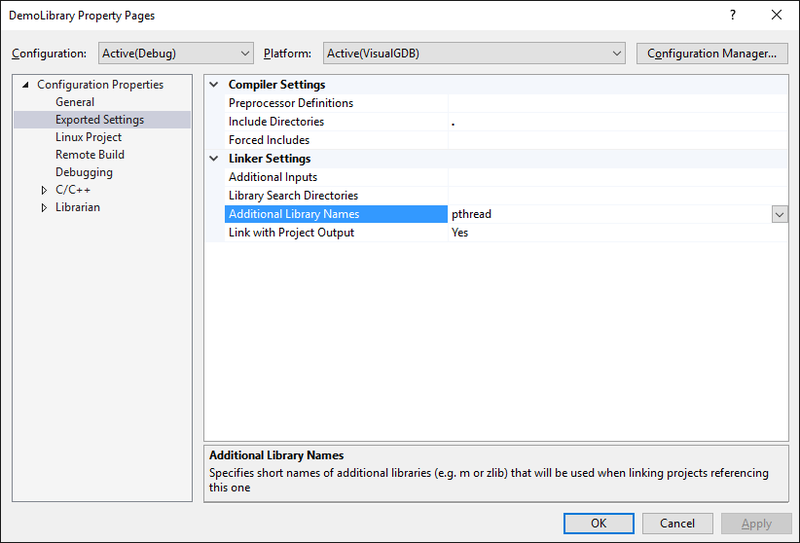 Before you begin, install VisualGDB 5.2 or later. 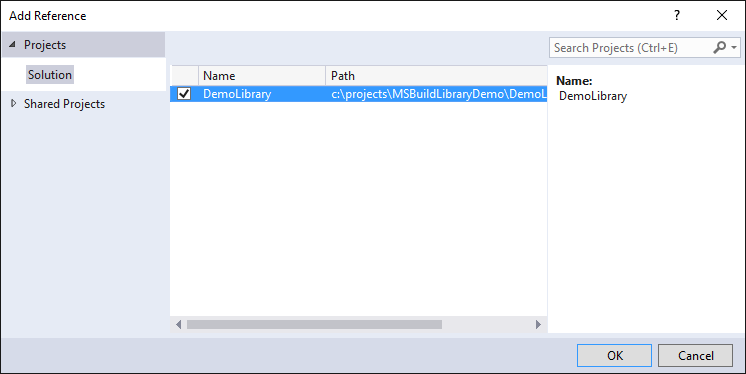 The library project defines a demo function called DemoLibraryTest() in DemoLibrary.h. 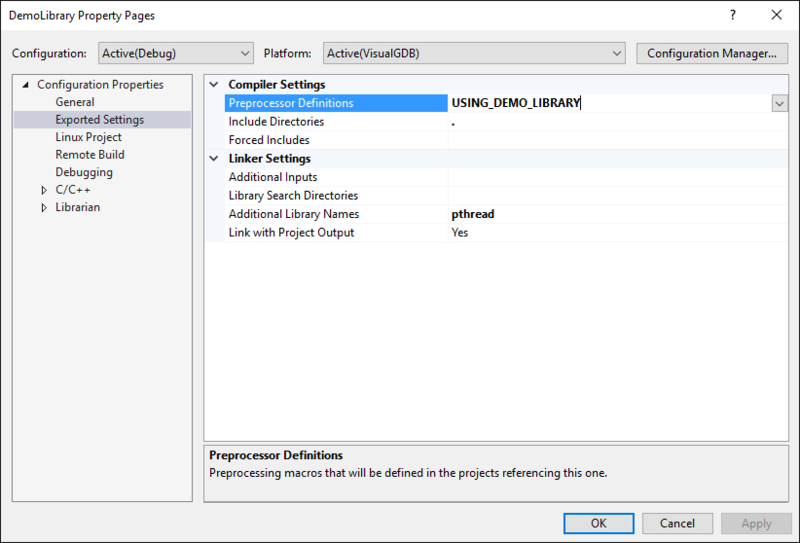 Try including DemoLibrary.h from your main project to use this function: Despite referencing the project, this will result in an error, as project references normally only affect linking, but not compilation. 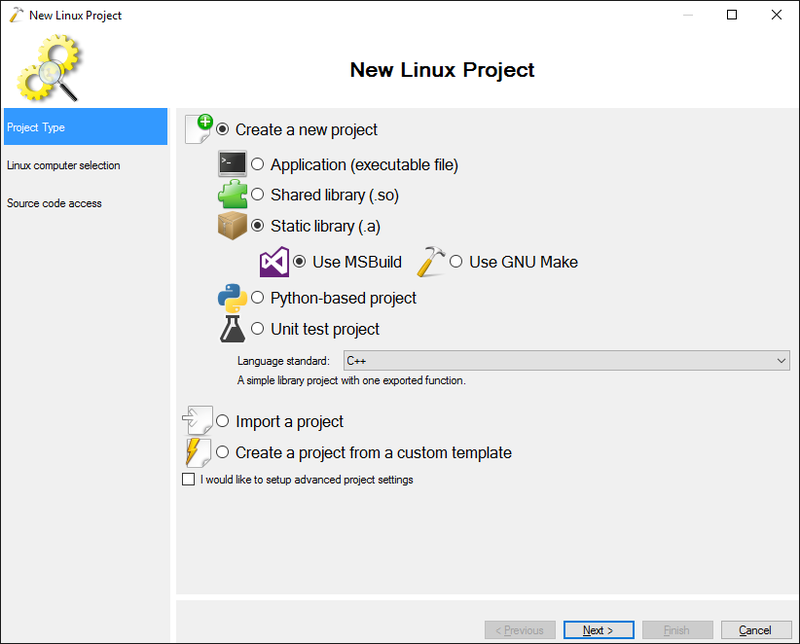 If you build the project now, it will succeed: Note that we did not need to change anything in the application project except for adding a reference. 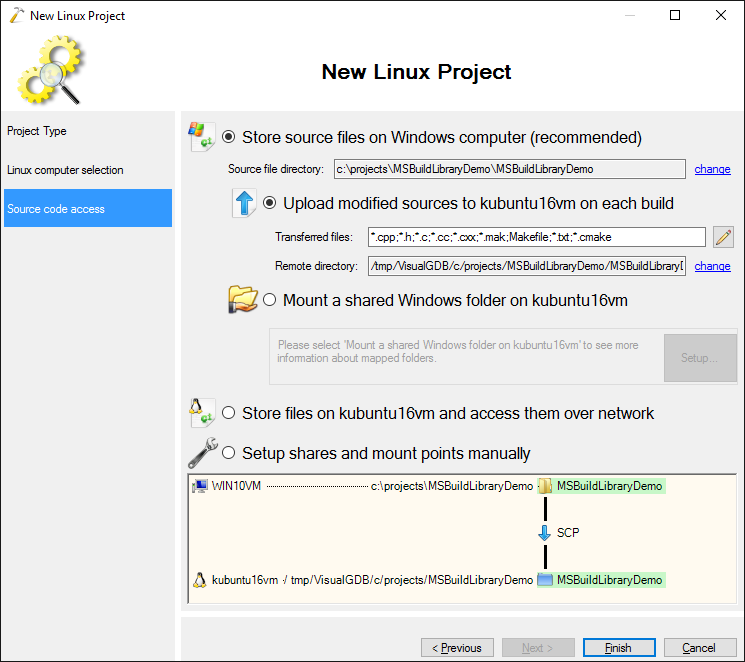 If you have several projects referencing your library and want to change the include directories it exports, you only need to do this once for the library project itself.